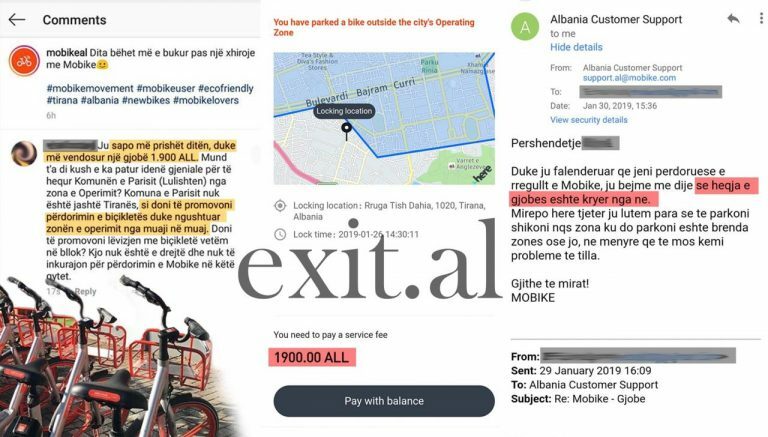 Mobike, the station-less bicycle-sharing company, has started to impose fines for wrong parking of bicycles in Tirana starting from January. Mobike has reduced the service area in the city, and users will be charged a €15 ($17) service fee for bicycles parked outside it. The service fee is supposedly the cost for Mobike to bring the bicycle back in the reduced service area. 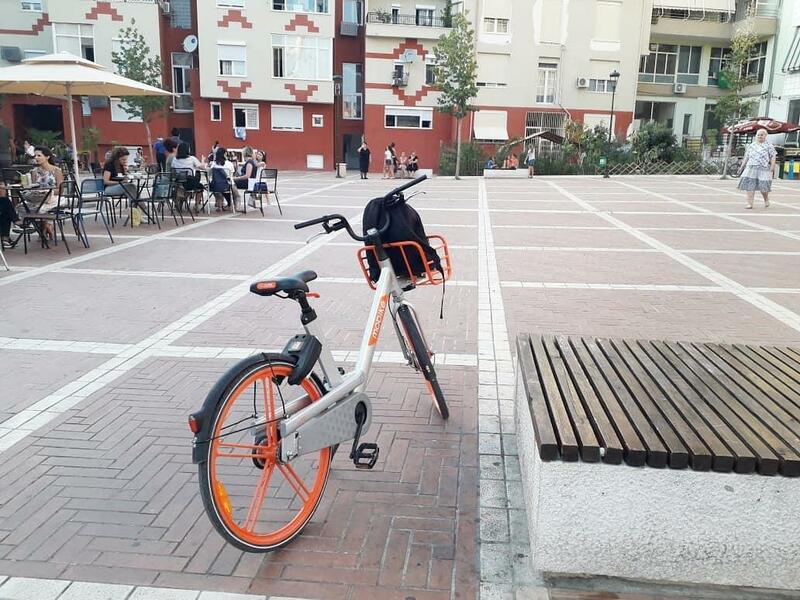 Mobike was launched in Tirana in June 2018 as one of the smart solutions introduced by Mayor of Tirana Erion Veliaj, who said that in particular it was “a solution for the movement of the youth”. Seven months later, the company has excluded from its map of service the areas where most youth live in the city. Areas dense with youths and students, like Qyteti Studenti (City of Students), University of Medicine, University of Sports, Faculties of Foreign Languages, Economics, History and Philology, as well as Xhamlliku, Komuna e Parisit and Don Bosko are some of the areas excluded from service since January 9th. 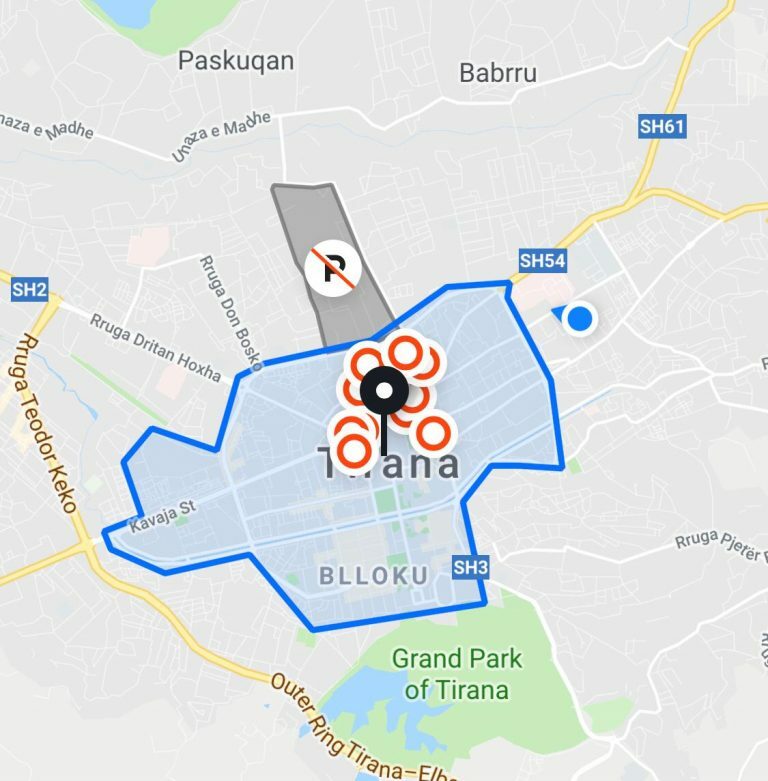 Mobike now roughly operates only within central Tirana. Mobike has failed to inform the public before starting to impose fines for bicycles left outside the reduced area. Instead, the “information campaign” on the policy change is carried out when users get their first fine. The company then warns users that the first fine will be cancelled but they should be careful next time. Mobike warns users: We will reimburse your first fine payment but you should be careful next time! 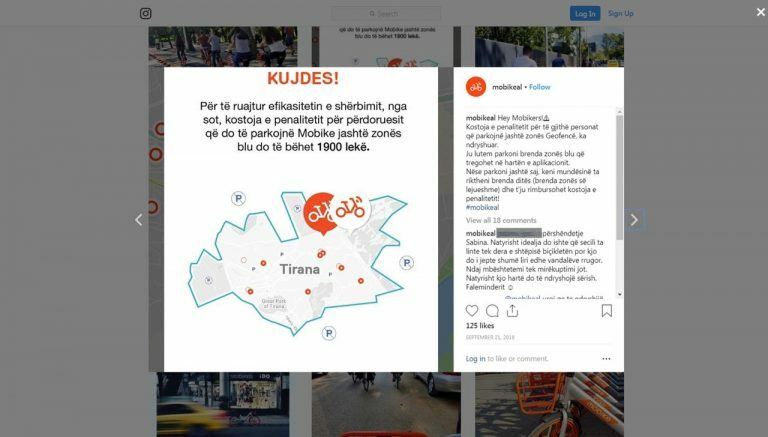 When it first lunched, Mayor Erion Veliaj praised Mobike as an innovation that would solve big part of the traffic and movement issues in Tirana. In few months, Mobike ended up reducing the use of bicycles only in the city center and imposing high fines, hence turning the supposedly smart solution into a service hardly affordable or useful. Mobike justified the imposition of a service fee with the need “to keep the service efficient”. It also cited vandalism as the reason for reducing the service map. Vandalism has been an issue in many other cities worldwide where Mobike operates, however the company’s response has not been so drastic. Similar fines are €0.6 ($0.7) in Shanghai, €4.4 ($5) in Singapore, and €7 ($8) in Italy. In Albania, the €15 fine is more than twice the fine users could get in Italy. The service fee of €15 is justified with the need “to keep the service efficient”. Furthermore, the Mobike phone app in Albania is available only in English language. The Mobike seems to be trying to cover theft and vandalism costs through high fines imposed on bicycle users, disguised under the term of service fee.